The Division is the hot new multiplayer game right now. Many Destiny The Better Destiny Gear Manager That's Right Under Your Nose The Better Destiny Gear Manager That's Right Under Your Nose Gear management in Destiny is more trouble than it's worth, but fortunately there's an easier way to manage everything -- and no third-party tools needed! Read More players (myself included) were looking for new game to fill the loot shooter void, and The Division fits the bill. If you don’t have friends to play with 10 Awesome Cross-Platform Mobile Multiplayer Games You Need to Play 10 Awesome Cross-Platform Mobile Multiplayer Games You Need to Play You want to play more games with your friends, but you're using an iPhone and they're on Android. It's a predicament easily solved by choosing the right cross-platform game. Read More , though, The Division can be a lonely game. Sure, there’s matchmaking, but sometimes, that creates groups that can’t get things done. Don’t worry, though, because these three websites will make it easy to find players looking to do the same thing as you. First, we have The100.io. This site actually finds players who are looking for the same things as you in order to create long-term friendships. Enter what kind of Division Agent you are, and you’ll be matched with a group of players. Next, there’s TheDivisionLFG.com. This is from the same people who make DestinyLFG.com, so it’ll be familiar to anyone who used that site. It’s about making public groups for one off missions and events. Last, you can try TheDivisionLFG.org. It’s very similar to .com, but it has a slightly different layout. If you can’t find a group for what you want to do on TheDivisionLFG.com, you can give this site a shot and see who you can find. With these websites, you’ll never have to be lonely again! Have you played The Division? What are your thoughts on the game so far? Let us know in the comments! 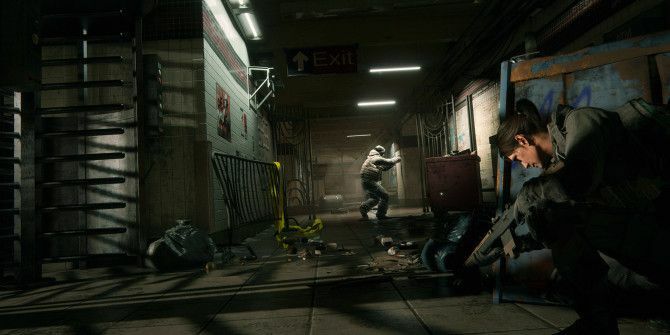 Explore more about: Multiplayer Games, The Division.